My introduction to Yelp began in San Francisco during my student years. I was enamored with the insider information dished out by my neighbors that would help me choose a new restaurant to try. When Yelp first began its journey, it seemed a utopian way to share great (or not-so-great) restaurant experiences. My next and most real experience with Yelp occurred with my father's dental office a few years later. At the time, without any efforts, he had 5-star reviews and told me that Yelp had not stopped calling him to advertise with them. "Why would you need to advertise with them if your reviews are solid?" I told him. No need. The phone calls continued relentlessly and eventually they told the reps to stop calling. In a matter of weeks, good reviews were missing, and only negative reviews showed up. Even negative reviews that did not previously exist. The office received another phone call from the company asking if they wanted to advertise with them and it may help them clear the bad reviews. At this point, my father wanted nothing to do with them and asked them to remove his name from the website. They refused. Since that point, any good review written about the office has been filtered out…amounting to dozens at this point. During that same period of time, the company began its public share offering. Knowing this about Yelp has forever tarnished them in my eyes. A profit-seeking company who utilizes the free work of its users when it serves their purposes, which then turns around to strong-arm small businesses into paying them for keeping those reviews. Who is going to come up with the next peer-to-peer advice/info sharing network to compete with this one? I'm considering doing it myself. 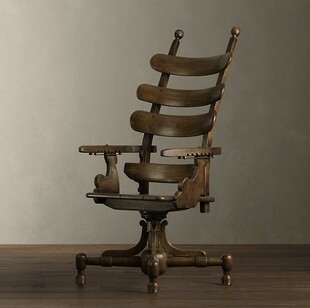 Or rather, super old scary dental chair. Helps me appreciate how much more comfortable dentistry is now. $1.8 billion is the total annual consumer spending on toothpaste. Many patients I come across worry how braces will affect their dating life (or married life!). There are options out there. Clear braces (milled out of ceramic) and Invisalign are two viable courses of treatment available if a patient qualifies. Some orthodontists now offer braces that go on the inside of your teeth. 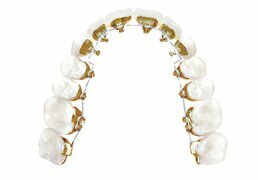 While much more expensive, these braces, generally called "lingual braces" are really the most invisible. It would be necessary to talk to an orthodontist about your concerns and what options they can provide. On the other hand...what are you afraid of?! Braces will only make your smile better. A temporary inconvenience that will benefit you in the future. The demographic of the orthodontic patient is changing. More adults than before through all age ranges are getting braces and happy with their decision. Here is an article, fairly humorous, regarding the subject. Vibrating your teeth for faster tooth movement? Interestingly enough, my masters research also uses a vibrating device similar to the one in this article for pain reduction. Double benefit it seems! The concept behind this product lies in its ability to bring more blood flow, and therefore, more healing factors to the area for less pain and possibly faster tissue healing so that teeth can move faster. You can find the article by clinking the link above, it takes you to CNET. Love Sour Candy? Your Teeth Will Hate You. Want to keep your enamel? Please stay away from that sour candy! Your mouth likes to sit at about a pH of 7.2-7.4. When you eat, this pH goes down to become slightly more acidic and then the saliva in your mouth re-establishes it back to its usual. Sour candy has such a low pH that it has a tendency to overcome our mouth's built-in mechanism for protecting your teeth from acidic erosion and leaves them susceptible to both the acid in the candy and other foods you eat, as well as bacteria in your mouth that are looking for an opportunity to take advantage of weaker tooth structure. Check out Northwest Dentistry for their research article. Braces are an artform, look at what can be done! No this isn't like in the movie, My Big Fat Greek Wedding, were Gus (Toula's father) used windex to remove a zit and everything else. This actually works! I remember the first time I saw toothpaste being used as a zit/pimple remover...my first year in dental school. I walked up to my friend and spotted something white on her face, covering up what looked to be your typical zit. It dawned on me finally that It was toothpaste! She left it on for a couple of hours and when she washed off the toothpaste, the pimple was gone! I was amazed at how well this home remedy had worked. She didn't spend a lot of money on some expensive acne medication and I'm sure her face smelled minty-fresh. Here's the takeaway: The reason it works for many people is because it dries out the pimple. Here is how it might work for you. Get some plain white toothpaste, making sure it doesn't have any fluoride or whitening because those ingredients tend to burn and irritate the skin. Before placing the toothpaste, make sure your hands and face are both washed and clean. Place a small amount of the toothpaste gently on the pimple and a minor amount around it. Make sure you don't get the skin that surrounds the blemish. At first you might feel a stinging sensation but there shouldn't be any pain. If you feel more of a burning sensation remove the toothpaste immediately. Let the toothpaste dry on your skin and leave it on overnight. In the morning, gently wash it off with water. Lo and behold...the pimple is gone pr at least less big and less red than before. This is good if you have a date, business meeting, or something important where a less obvious pimple would be ideal (ie. everything). This quick fix does not work on people with severe acne. Note: If you are afraid of a burn, try it on a place that isn't that noticeable for 5 minutes and see if you get a reaction. Two sisters, both dentists, sharing their love and knowledge of teeth.